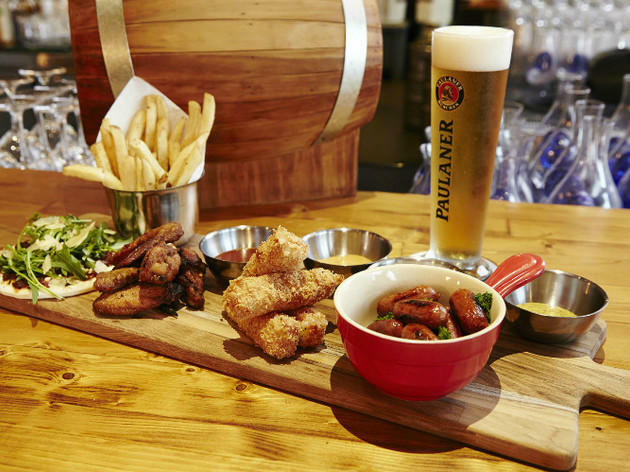 Expanding to a second outlet after their Marina Bay Financial Centre restaurant, Erwin’s caters for both meat and veggie lovers with dishes such as the carnivore platter – ribs, wings, beef sliders, chicken poppers, fries ($36) – and vegetarian falafel sandwiches ($15). The weekend brunch adds greater variety to its standard breakfast menu, with a brunch salad ($16.50), an assortment of baked goods ($4) and, for the hungrier, a beef burger ($19). 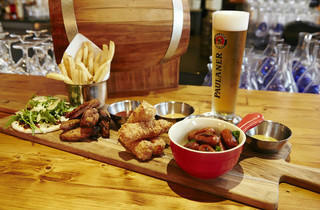 The gastrobar imports brands such as Paulaner, Estrella and Little Creatures ($8.80-$27.30).